Having hard time to manage your mobile surfing? 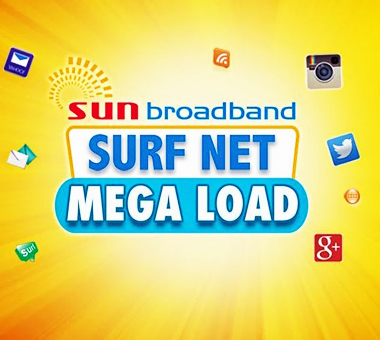 Then Sun Cellular’s Surf Net Mega – The Sun Broadband Mega Affordable Internet Surfing Promo feature is a must-try for you. Sun Surf Net Mega comes in 25, 50 and 100 load variation where you can enjoy more surfing capabilities without hurting your pockets. Get as much as 500MB of mobile data of up to 5 days! This offer is made more affordable than other mobile data packages so you can get the best of internet surfing on your mobile phone and gadgets and make the most out of it. For more updates and latest promotions, log on to www.unlipromo.com or visit Unlipromo Official Facebook Page for the more news feeds.